SAIS Southern Cairngorms Blog » Poor visibility today. Very poor visibility above 850 metres today with the ever present constant Easterly winds. 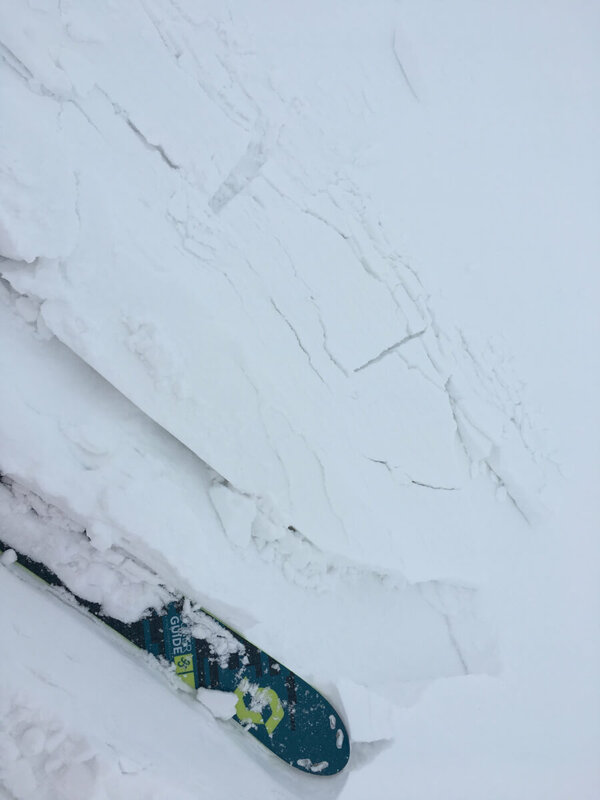 Snowcover is highly variable at the moment, there is a lot of hard pack and ice around often with deep windslab nearby. 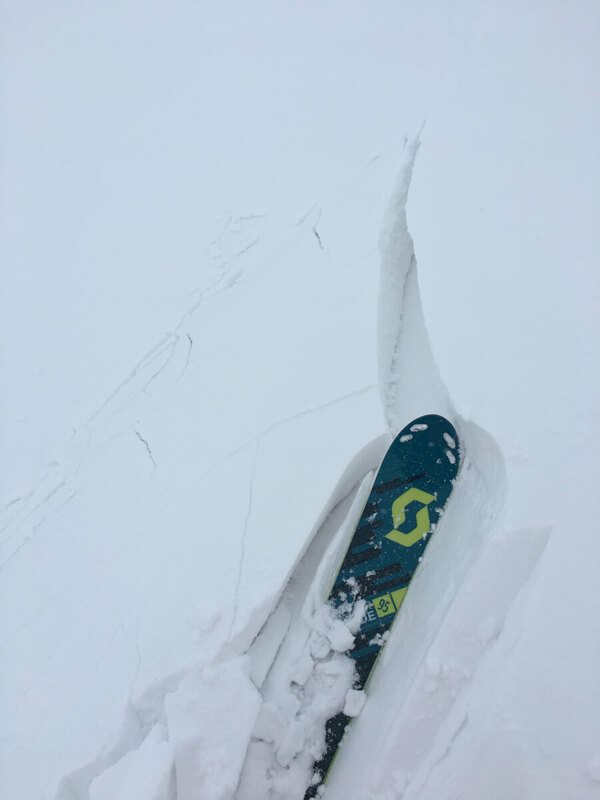 If your on ski you’ll find your self moving quickly between firm snow and deep unstable snow. I only took a few pictures today, I thought about taking a few of all the skiers enjoying themselves lower down the hill at Glenshee but figured you would know thats happening anyway! The freezing level is likely to rise to around 600 metres tomorrow. This will help consolidate snow at lower levels. Small test slope triggered W aspect at 930 metres.